It’s been a while since I’ve posted anything. I wanted to break the silence by posting my review of Lando #1 of the new Star Wars comics. It was originally posted on comiXology’s tumblr. Ever since Disney acquired Lucasfilm in 2012, Star Wars fans have been wondering how their beloved franchise would change. Then in 2014, it was announced that previous Expanded Universe stories would fall into the Legends banner and not be included in the official canon. This was a major change to the Star Wars universe as we knew it (Emperor Thrawn? Mara Jade?). But, as we’ve learned this year, they have a lot planned for the franchise aside from the new movie, Episode VII Force Awakens. With a new cartoon series, numerous new books, many new movies planned (Anthology Series) and many new comics, the new canon has been streamlined and put together in a cohesive way that was never done before. As the Princess LEIA mini-series of 5 comics came to an end a few weeks back, a new 5-part mini-series appears and we learn more about fan favorite Lando Calrissian in the new LANDO Marvel series. From Episode V and VI, we know that Lando was the previous owner of the Millennium Falcon before Han Solo and the Baron Administator of Cloud City. But how does he get to where he is? How does he obtain the Millennium Falcon? Will we even get to those questions in this comic series? Well, in this first issue we learn that he smuggles something big…and maybe out of his league. To learn more about the new Star Wars canon I would also recommend the new Marvel STAR WARSseries based in the canon between Episodes 3 and 4, the new DARTH VADER series which interweaves the new Star Wars comic series in Vader’s point of view, and also the Kanan series where we learn more about the backstory from one of the protagonists from the new Star Wars Rebels cartoon series. 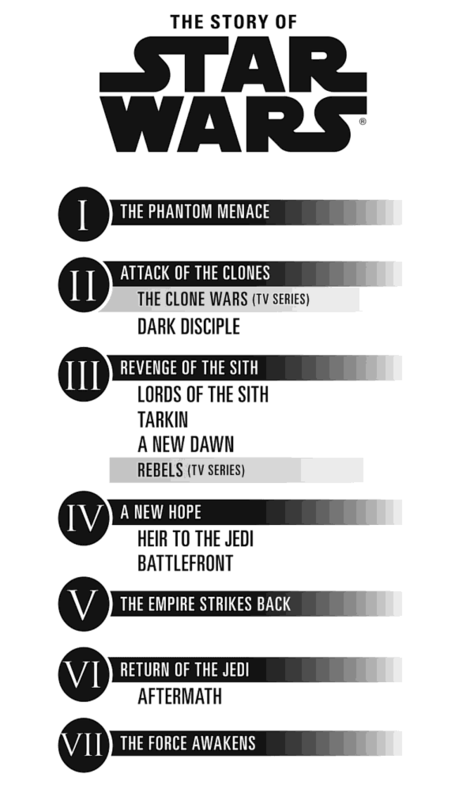 It’s been fun ride for Star Wars fans, but we’ve quickly come to learn that the Force is strong this calendar year. Can’t wait for the movie in December. DOUGLAS HWANG is a Product Manager at Comixology, lives in Brooklyn and is crazy about Star Wars, Portland Trail Blazers, and the great outdoors. In the 2013 MIT Sloan Sports Analytics Conference, there was a great panel between David Epstein, author of The Sports Gene – Inside the Science of Extraordinary Sports Performance, and Malcolm Gladwell. The panel was less of a debate, but more a conversation of how you need BOTH nature and nurture to be a top sports athlete in our current society. From that panel, the book was on my to-read shelf, and having just finished it, I highly recommend it to others. The book mentions numerous cases of why choosing the right “parents” is a key reason people can be elite athletes. From exploring Jamaican sprinters – both the culture around sprinting and unique heritage, Kenyans – their unique genetics and the environment they are raised in, to unique genetic markers that correlate to a high VO2 max, or ability to pass doping tests, it’s a excellent way to expand one’s knowledge of the amazing way we are all born, and the unique environments that determine who we are. For every person who dreamed of being in the Olympics, to every child who dreamed to be in the NBA (yours truly), this book helps to look at sports training and development in a whole new light. There is no “one way” to train, “one way” to do this…rather, all our genes and bodies are different and we all may respond to different things. Which means…….there are more questions. It seems that this subject’s surface is only scratched. Though genetics may explain one’s ceiling on VO2 max or development of fast-twitch muscles to be a better sprinter, it can’t yet explain free-throw percentage? catch and shoot situations? ability to see and track down a fly ball? effort? heart? motivation? Thinking back to my childhood, there are only a select few number of things that really really stick out. For me, many of my memories was playing video games. I can definitively say, it helped shaped who I am (in both good ways and bad ways). Console Wars: Sega, Nintendo, and the Battle that Defined a Generation written by Blake Harris, and audiobook narrated by Fred Berman is a great read that covers the back story, main decisions and the key players that helped bring the video game industry alive. Sonic Tuesday, the idea of treating video games like movies and doing a major marketing releases of them. More than the story, another reason why I liked the book so much, was that it was a story about the team, the people, and how they worked together. About David beating Goliath (the uprising vs the entrenched), about doing crazy unconventional things, about creating everlasting bonds with one another. It’s a team (the Sega team) that anyone would love to be on, a team that I would love to be on. In the whole startup age, as much as we care about perks and sky-high valuations, often the deepest work satisfaction comes from the team that you go to battle with, the work that you do together, and the relationships that come from it. A few things that stood out to me about the team. Why it was fun – taking risks, working hard, making an impact. The most fulfilling work is often not the work with the most work/life balance work. I for one, was a Sega person. And, perhaps that already reveals a lot about me already. Dreamland talks about the science of sleep, and shares a lot of super interesting stories. It’s entertaining learning about all the odd things that happen to people. But for takeaways, there’s some straightforward advice to improve one’s sleep, and thus improve one’s life. I just finished the Everything Store by Brad Stone and it’s a fantastic read (or you can listen to it via audiobook). It details the beginnings of Amazon, how Jeff Bezos came to be, and the imagination of how the future may be continuously disrupted. It’s a terrific story not about how Amazon necessarily disrupts industries, but how the future will inevitably disrupt industries and why companies must not keep to the past, but continue disrupting themselves to have a place in the future (it reminds me a lot from the recent TED interview with Larry Page). For anyone in tech, and/or anyone with aspirations to build a company/change the world, this book will help inspire that. Drive, written by Daniel Pink, I would recommend for all people managers. I think it’s a great supplement to any management training where you are in direct control of the motivation of your employees. At the very least, it might spark some new ideas. Ask everyone in your organization to rate, on a scale of one to ten, how much autonomy do you have over your tasks, time, team, and technique? Also, is a neat animation of one of his talks (youtube).